We all know that if there’s a way to educate or expand the mind of kids it’s through something they actually enjoy doing. 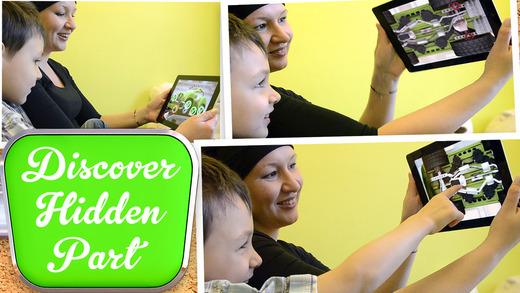 We keep seeing more educative apps and games coming online and I think it’s a great thing. Not all of them are as expansive or enticing for kids, but at least they tried to put up a good job. Today we’re reviewing Auto Repair by 5Baam—a game that is a lot cuter than the title might make you believe. 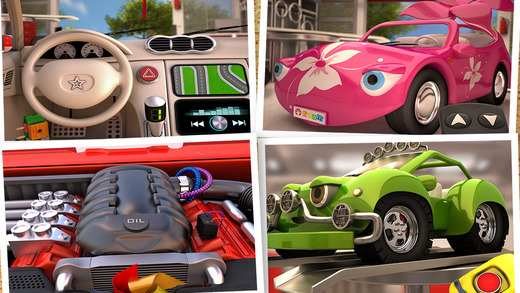 With its cute aesthetics it tries to give kids full control over repairing a car and exploring different possibilities. The game looks great, so let’s dive into the review. After a quirky intro we are greeted by 4 very colorful cars, but sadly, they all need things repaired. Of course, this is where you step in. The cars are very diverse in their appearance so I can imagine kids having their favorite right from the get-go. Each car also has specific issues that need to be fixed, which means selecting a car is always a new thrill for the young ones. 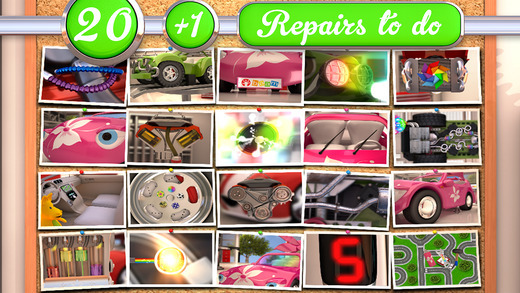 The things that need to be fixed are done very cleverly and interactive—for example, choosing the kind of boy-ish red car will have you fix up the complete engine of the car. This means spinning off lids to replace the oil and for instance repairing gas leaks by applying duct-tape. From replacing glass windows to hammering out dents and re-applying a paint cover—the assignments are fun and most importantly very interactive. 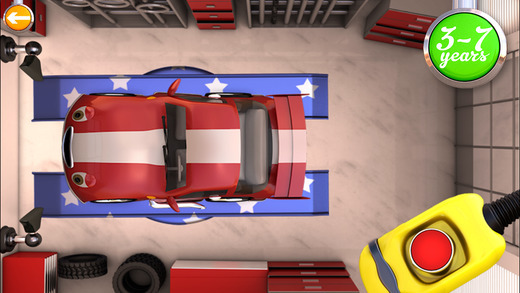 Auto Repair is a very high-quality product that I can only imagine will sit very well with your kids. You can literally tap anywhere on the screen and something fun might happen and the game gives just enough hints to not make things too hard for the little ones. There really are a ton of actions you can perform on the cars and a really cool thing is that you get a photograph of everything fixed in an album that you can look at. The only thing that I felt was missing was taking the newly fixed car for a spin—it would’ve been cool if they included a simple car simulator that can go around a small city. If the car was smashed or wrecked up again, maybe they would have to fix it again! 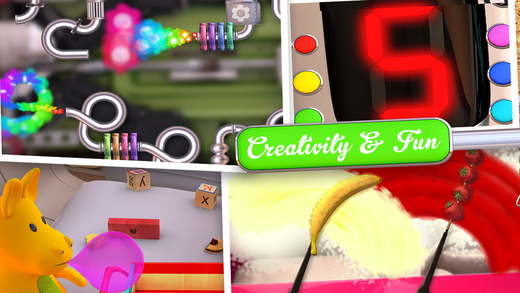 This could also be combined with traffic rules, for example, to further enhance the educational purpose of the game.